The School of Business and Economics at Seattle Pacific University has committed itself to “another way of doing business“. One way the School manifests this vision is in its graduate level course, Business and Stewardship: Global Sustainability. Taught by Dr. Randy Franz, the course seeks to explore the role of business in addressing global economic, social, and environmental sustainability. The course is cross listed with the School of Theology and incorporates Christian theological understandings of creation care, stewardship, justice, human well-being, and restoration. Categories: Campus Events | Tags: Business, SPU School of Business & Economics, Stewardship\ | Permalink. Sustainable Seattle, a regional sustainability indicator organization, is currently working on a project to provide a comprehensive assessment of well-being and to engage and inspire people, organizations and policy makers to action. It is called the Seattle Area Happiness Initiative, and it is centered around a new way of measuring well-being called the Gross National Happiness (GNH) index. GNH, originally developed in Bhutan, establishes a quantitative measurement of well-being and happiness, identifying measures of well-being as more important than traditional measures focused on production and consumption. To watch a news report about the Seattle Happiness Initiative, click here. Categories: Community Involvement, Happiness | Tags: Happiness, News, seattle happiness initiative | Permalink. Over the past month this blog has detailed Seattle Pacific Unviersity’s Climate Action Plan. In wrapping up this series, the final major pieces of SPU’s climate action plan deal with transportation and education. As mentioned in a previous post, one of the major sources of the University’s carbon emissions is transportation. SPU is working on revamping its fleet of vehicles, and is currently in the process of phasing gasoline vehicles out of its maintenance fleet, while looking to do the same with its SUVs and patrol cars as new technologies continue to emerge. Categories: Community Involvement | Tags: Climate Action Plan, Education, Transportation | Permalink. An important part of Seattle Pacific University’s climate action plan is its emphasis on energy infrastructure, efficiency, and conservation. 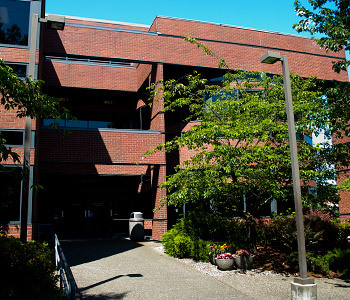 Improving energy efficiency is one of the most cost-effective ways for SPU reduce its carbon footprint, making it an important focus for the University. Much of the improvements in energy infrastructure include improved monitoring of energy use. This can be done through developing a more user-friendly system to track building energy use, installation of natural gas sub-meters at each building, and conducting energy audits every two years. Categories: Community Involvement, Environmental Justice | Tags: Carbon Footprint, Climate Action Plan, Conservation, Energy, Renewable Energy | Permalink.